Welcome back to the 2018 Betting System Oscar awards! This is the last individual award which has been decided by Lay, Back & Get Rich readers. With so many votes coming in this year, the winners have had to work harder than ever to pick up top spot. 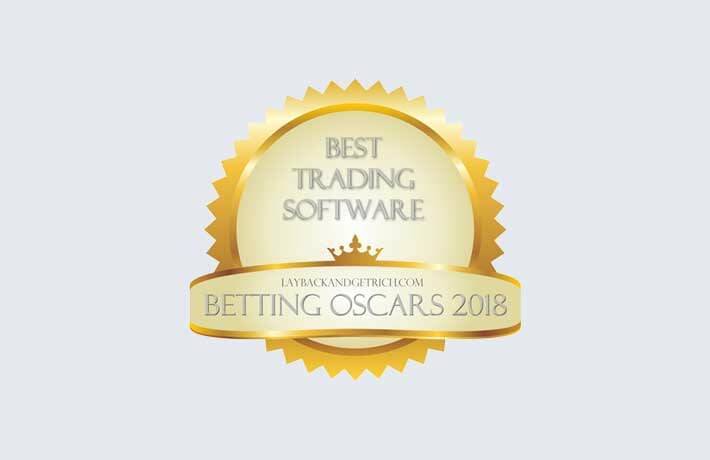 Today, I will be presenting the Betting System Oscar for "Best Trading Software". This was one of the most competitive categories of 2017, with Fairbot managing a very close victory. This year was no different, especially as there were so many more votes sent in! So... which software ended up with the most votes? What a battle this was! It went right down to the wire, with Bet Angel eventually edging out last year's winner, Fairbot, by just 4 votes! Geek's Toy and Gruss Betting Assistant finished quite a long way behind. Understandably, the news went down very well with Bet Angel's Peter Webb. Peter said, "We are delighted to learn that Bet Angel has been voted as Best Betfair Trading software once again this year and would like to thank all those that voted for us." "The team at Bet Angel have worked tirelessly since we created one of the very first pieces of Betfair trading software back in 2005, this was even before there was a Betfair API. We did this with the aim of helping traders and traditional gamblers by producing the best Betfair trading software available. It is a process that continues to this day." "We choose to invest as much money as possible into the software, to ensure we can bring many unique features to the market first and help customers maintain or gain an edge in this ultra-competitive market. This is something we intend to continue doing for the foreseeable future." He continued, "In the last couple of years, we have expanded Bet Angel further. Bet Angel customers now have the most configurable and the best manual, fully automated or even semi-automated trading tools at your disposal. This has allowed Bet Angel customers to increase their ability to profit from whatever they choose to do on the Betfair betting exchange. All this for a fraction of the cost that you would need to spend in financial markets for the same scope and power." "Bet Angel is more than just software. We have invested heavily in teaching our customers the best way to learn to trade on Betfair and get the best out of Bet Angel. We have a thriving Betfair trading community and over 210 hours of Betfair trading videos to help you on your journey as well as structured content in the Bet Angel Academy." Peter finished up by saying, "We look forward to welcoming you as customers and fellow traders and would like to thank our existing ones for their support." Wow.. that was quite a speech! Congratulations to Peter and his team at Bet Angel for this victory! Try Bet Angel Trader and Bet Angel Professional for 14 days each by clicking here. There's no payment required, so you can 'try before you buy' and make sure that Bet Angel is the right trading software for you. My free 30 page guide that explains, in plain English, how anyone can reasonably expect to make £1,000 per month tax-free from betting. Yes, I give you permission to send me your free eBook and newsletter. Sean on Do you know this man? Please exercise caution if you do!